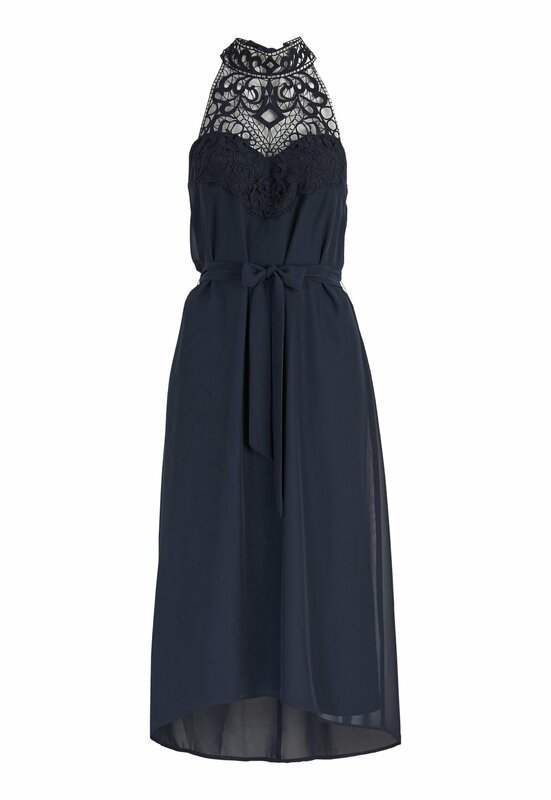 Stylish dress with beautiful lace details from BUBBLEROOM. - Made in a nonstretch fabric, with an attractive drape. - Concealed back zipper and tie at neck. - The tie at the neck allows you to tighten as desired. - The dress is longer at the back, which is a flattering feature.